You are going to Watch Naruto Shippuden Episode 320 English subbed online free episodes with HQ / high quality. 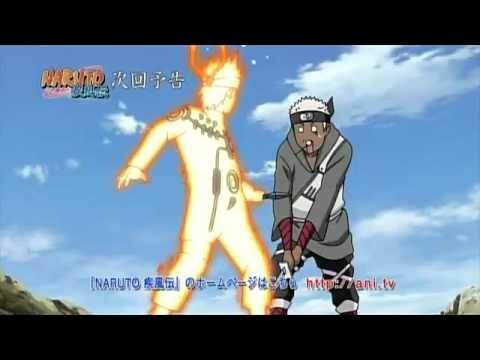 Stream Anime Naruto Shippuden Episode 320 Online English sub Run, Omoi! Headquarters receives information that Omoi abandoned his post on the battlefield, and quickly contacts Kakashi, who confirms the information, A starts believing he could have deserted but Karui came in his defence putting that idea aside, Sai adding the extra information that he could be going towards the Seventh Front where the Amphibious Search and Destroy Unit was being bailed by the Thundercloud Unit that never got to its destiny, and he was concerned with this supply unit composed by children. Omoi contacting the Headquarters promises to rescue the children in one hour. Hoping they were celebrating when he gets there, the Headquarters send a Naruto’s clone to help him against the two thousand White Zetsu Army. When at the Seventh Front, Omoi only found Kirigakure-nin corpses and countless White Zetsu clones, Naruto’s clone appears in time to help him against that many opponents, but an oversight of Omoi makes Naruto’s clone disappear and he gets all alone again against multiple enemies.